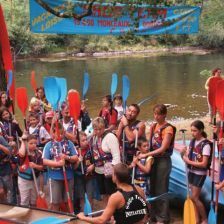 Our speciality is the downstream canoeing which leaves the campsite over a distance of 6, 12 or 21 kilometres (for a duration of 1 to 4 hours) with or without a certified instructor. The return journey to the campsite is by mini bus. 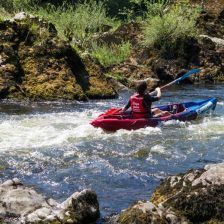 Apart from the canoeing downstream, we also propose introduction activities: Learn the techniques and pleasures of navigation from 7 years on. Children must know how to swim. 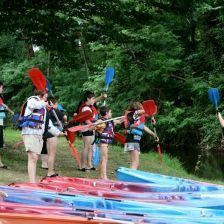 It's fun to discover kayaking at the campsite! 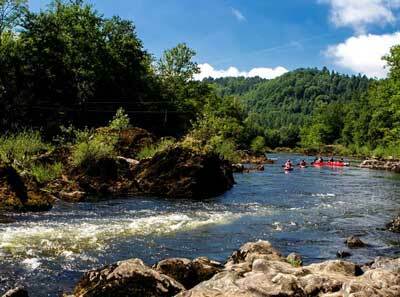 The canoeing downstream makes for an unforgettable holiday on the Dordogne. 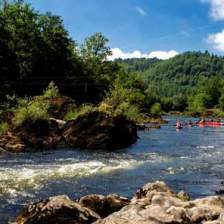 Two-hour descent down the Dordogne river, with or without a guide. 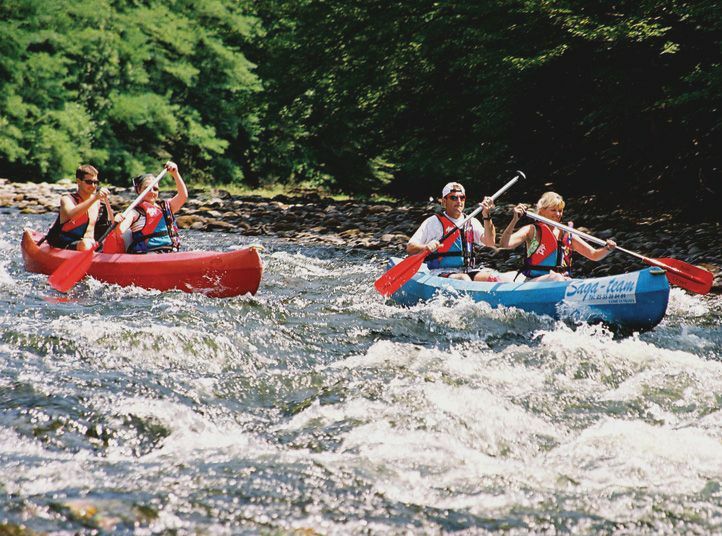 This voyage is for the whole family to enjoy the natural environment. 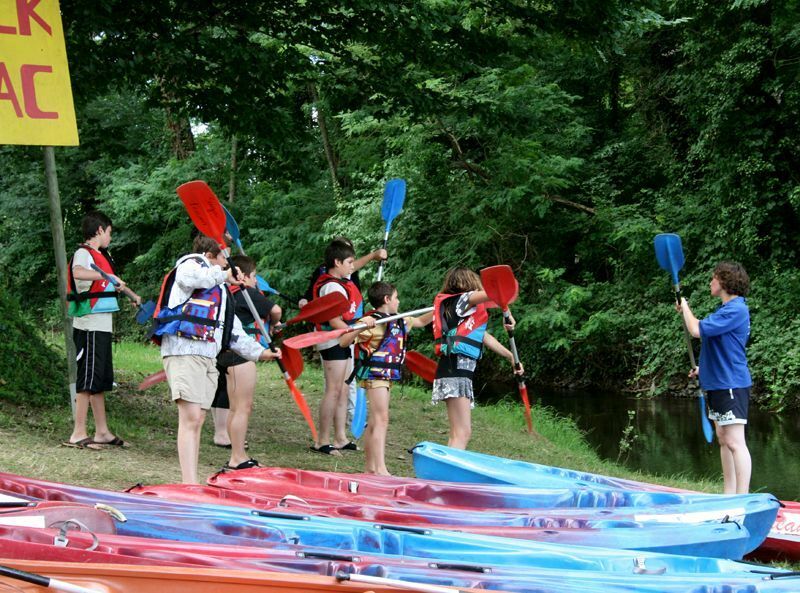 The canoes are for two or three people or a family boat with space for two adults and two children up to 11 years old. The mini bus service brings you back to the campsite. 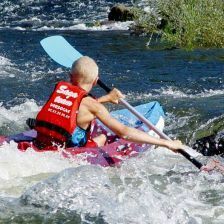 This activity takes 2 to 3 hours depending on the level of the water. 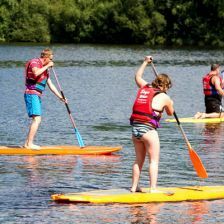 The adventure course takes approximately 4 hours with a picnic break (which can be provided by the restaurant) It finishes at Beaulieu sur Dordogne. 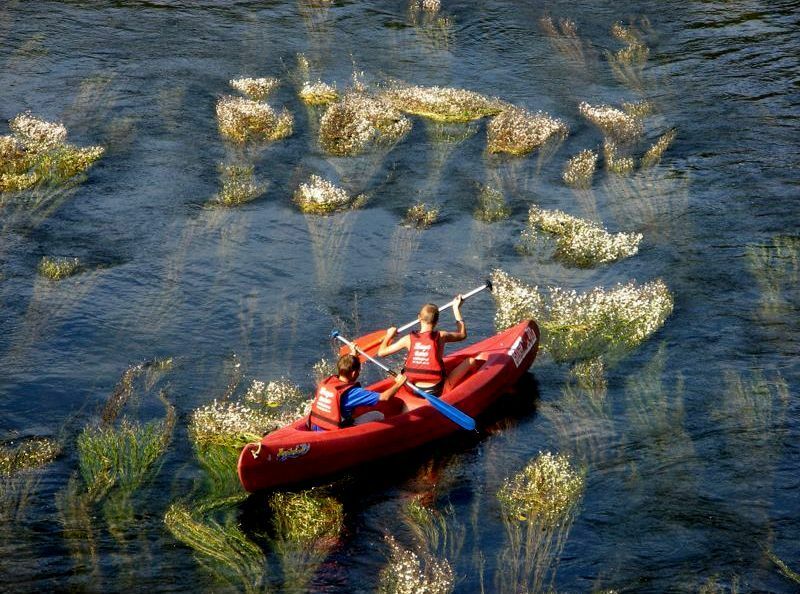 There is 20 km of unspoilt fauna and flora. With luck you can see kingfishers, herons and beautifully coloured dragon flies. 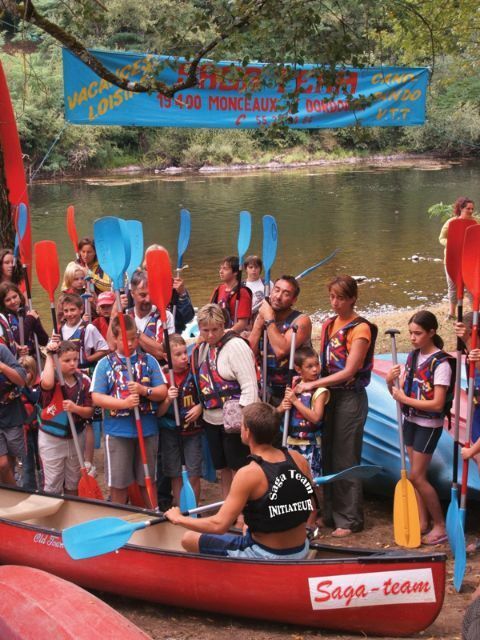 The minibus service brings you back from this activity, which lasts 4 to 5 hours. 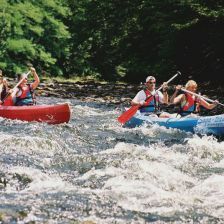 A course of 2 to 3 days or more in which you can experience a wonderful weekend or a summer outing. 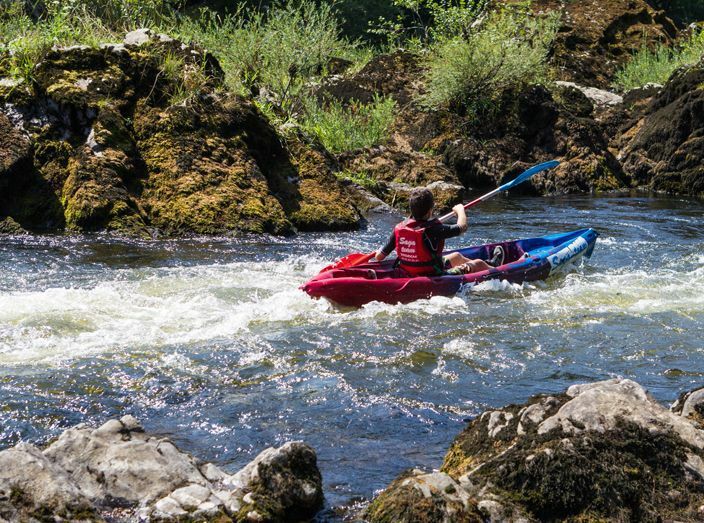 Discover the river at your rhythm, camp where you fancy in a tent or camp on a campsite. It is possible for us to transport your luggage, then you may return by bus.. 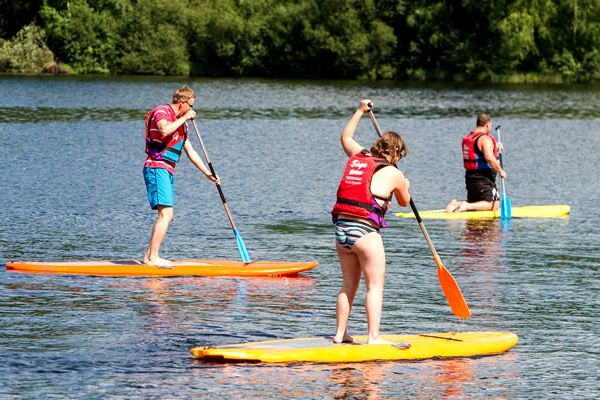 STAND UP PADDLE: An activity accessible for all. 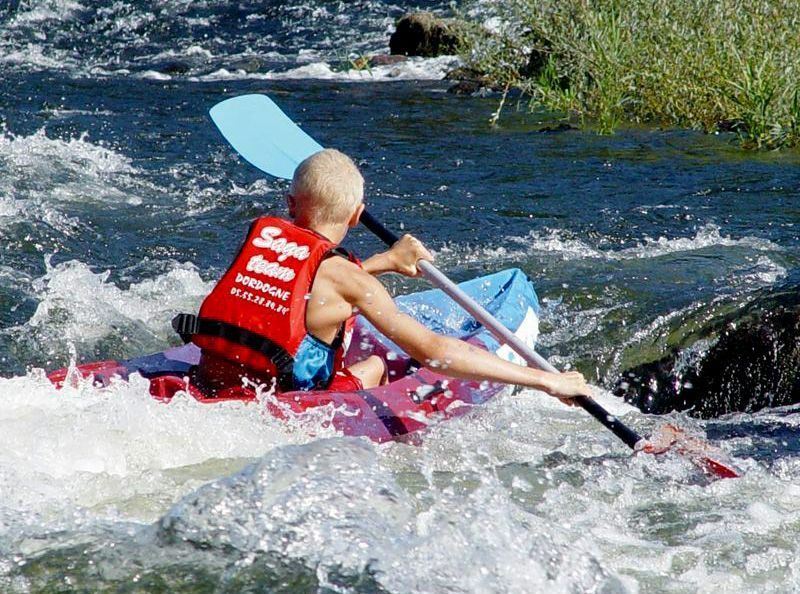 This sport is for the enthusiasts to improve their skills in balance and coordination. It is practised on a board similar to the sail board. Everybody can try this activity as it is stable and reassuring for the less reckless participants. It is like walking on water! 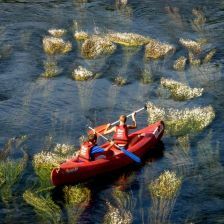 either with family or friends or alone this is a "must do» At first it feels scary especially when approaching the rapids! Seeing the river from this viewpoint is great. It's an easy sport, as long as you can swim. 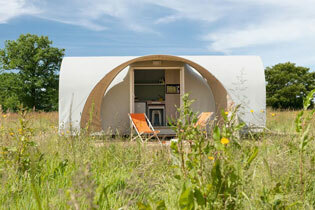 So don't hesitate to have a go from the campsite.